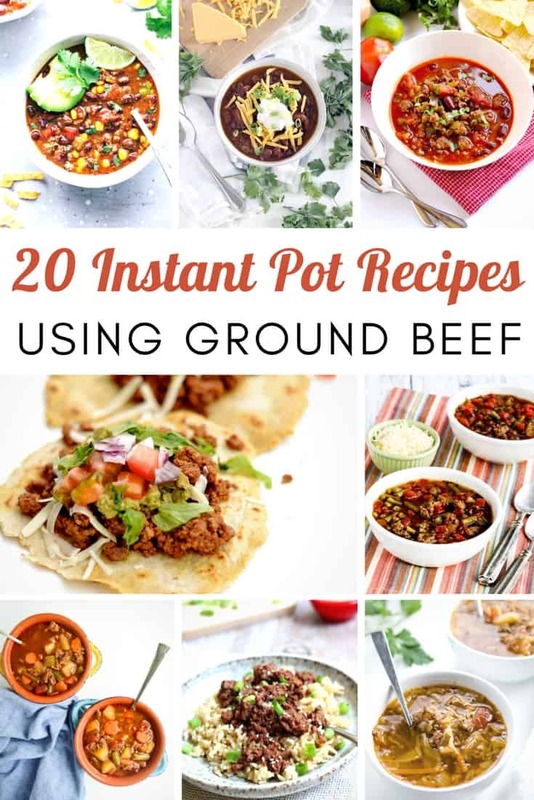 Today I’m sharing a round-up of 20 hearty Instapot recipes using ground beef. Do you love soup and hearty meals when the weather is gloomy? They seem to keep you fueled up when you’re on the go. They are easily portable in a container for lunch the next day and cooking in an Instapot makes it fast. 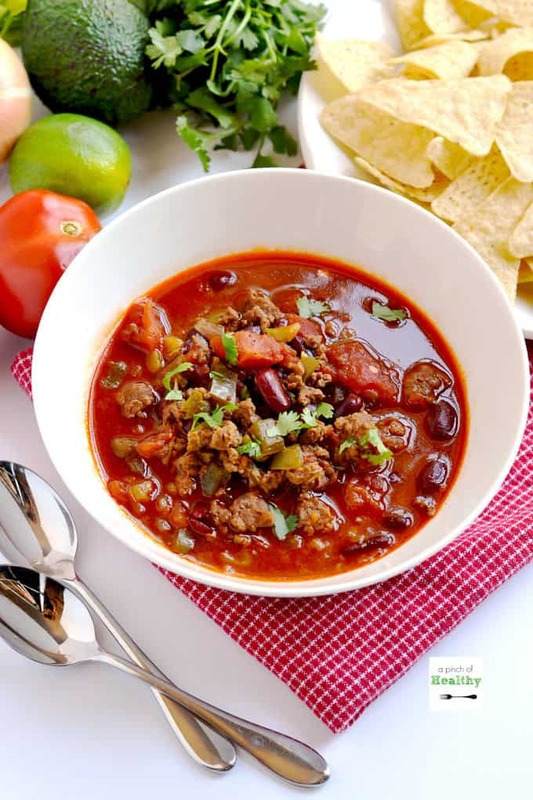 Soup and chili reheat well and cold soup can be freshening (think – gazpacho). One of my favorite soups for winter is a root vegetable soup that I make with parsnips, turnips, carrots and potatoes. Add some cooked ground beef or chicken and it’s a hearty meal. Another favorite is my hearty leek and potato soup, perfect for a rainy cool day. We don’t eat a whole lot of meat in our home, but chicken can be substituted in many of these recipes. I usually cook up a whole bunch of chicken at once when I have time to prepare ahead. I do this by simply boiling several chicken breasts until cooked…so fast and easy! Then I take the chicken out of the water and let it cool, and then use a hand mixer to shred it. Store the chicken in a glass container until you are ready to use the portion that you need. The same goes for beef, but of course you wouldn’t boil it and it stores well to use as needed. We use grass fed beef and I don’t skimp when it comes to ingredients, buying the best that I can find. 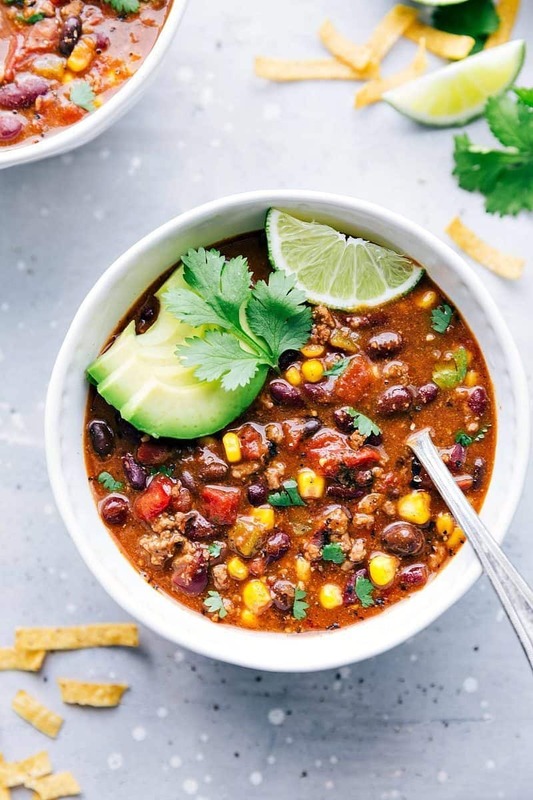 I’ve gathered 20 recipes for you below and most are easy to make in an Instant Pot or a slow cooker if you have time. Make in batches and freeze or eat throughout the week!